I struggled a little with a rating on this one. 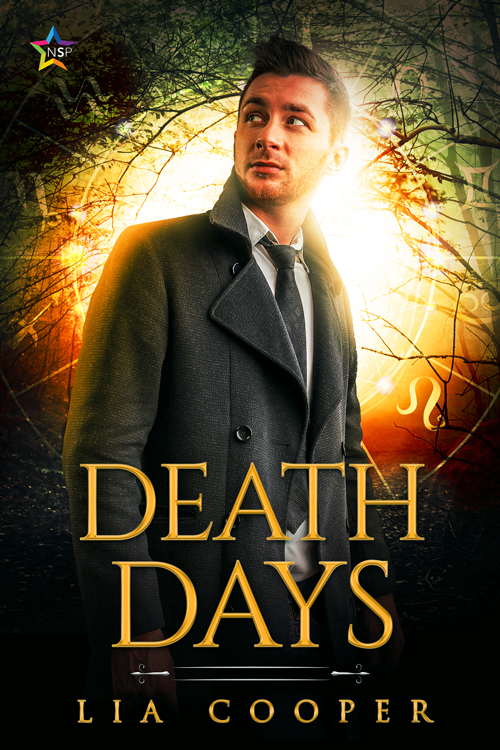 There were a number of things about Death Days that I loved; however, it also had a few issues. Let's start with the positives. I enjoyed the premise of Nick being a teacher by day and necromancer by night. That had a lot of potential. I also liked him as a character. He was appealing flawed. Josiah, too, came across well, although I would have liked a little more depth to him earlier on. Meanwhile, the plot started strongly and caught my interest right from the start. However, like I said, it wasn't perfect. That potentially interesting plot left several strands hanging, having changed direction and gone off on a different tangent halfway through. I closed the final page with a wealth of unanswered questions. That wouldn't have bothered me if this book was clearly the first in a duology or trilogy and I could anticipate resolution in the next instalment, but I see no indication anywhere that this will be a series, and as a standalone, it leaves the reader ultimately unsatisfied. Then there were the two times the text dropped out of Nick's POV and into Josiah's in the final quarter of the book. There was no need for this--the information we got from it was unimportant to the plot--so I felt it should have been eliminated, along with some bizarre, incorrect punctuation here and there. Ultimately, this was a book with a lot of good points and plenty of promise that didn't quite live up to itself due to plotting issues. However, the bits I did like, I liked a lot. Therefore, I am giving it 3 stars.